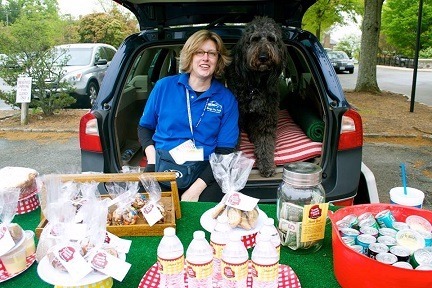 Meet some notable bakers who have make a big impact for Pet Partners! Kim & Clarke, tops dogs in 2015! As the nation's top Treats & Sweets Day fundraisers for 2015, Clarke and Kim are pretty much Pet Partners royalty! 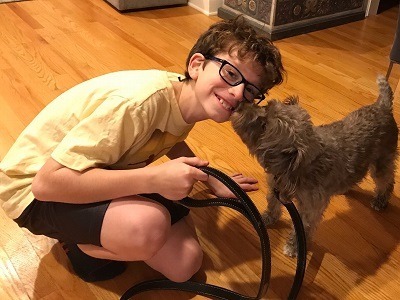 Together they raised over $2,200 to support therapy animal teams. 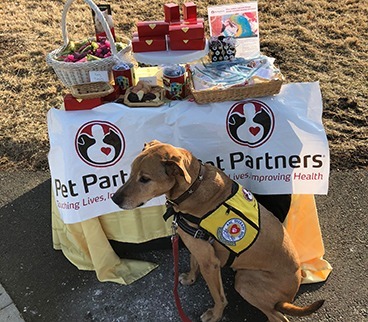 Kim set up bake sales at her local farmer's market, invited friends and family to make online donations, and even partnered up with a local pet boutique to raise awareness and funds. Clarke's favorite pupcakes proved to be a huge hit with customers. Kim and Clarke have volunteered together at their local hospital. Clarke is one loving doodle! He enjoys visiting with patients and their families in their hometown in Virginia, and is a favorite among the hospital staff at VCU Medical Center. 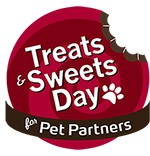 © Copyright 2019 Treats & Sweets Day, a fundraiser to support Pet Partners. Contact treatsandsweetsday@petpartners.org with questions.